Ready to embrace the role of the dashing groom? Consider this your crash course in groom accessories to marry your love in perfect style. 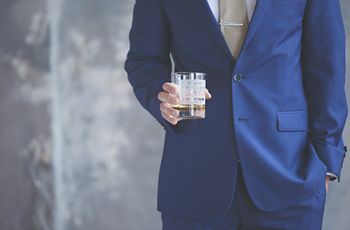 There’s never a more important occasion to dress your best than your wedding day, but selecting formal groom accessories can intimidate even the most stylish of gents. Bowtie, necktie, no tie? Belt vs. suspenders. Cummerbund, cufflinks, pocket squares … the list goes on. While it’s easy to get stuck in the traditional dos and don’ts, we’ve picked the brains of two leading menswear experts to share their accessorizing “rules” along with ideas to let your personal taste shine through every detail. One of the most important groom accessories decisions comes down to the tie. Of course, personal preference plays an important role, but there are also many factors that should inform your choice when it comes to the style, shape, and color you select. 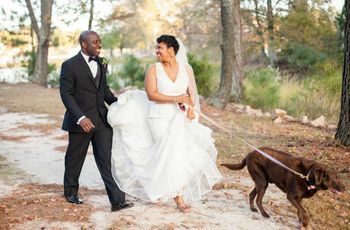 Brice Pattison of The Black Tux suggests grooms look to the local culture and customs of their wedding location, as well as take cues from the event setting and time of day. For example, a black-tie evening wedding calls for a much different tie than a daytime backyard affair. But when in doubt, Pattison suggests opting for a more formal look is always the safer bet. Perfect for a look that will stand the test of time, a classic bow tie pairs especially well with a tuxedo but is also appropriate to wear with a suit. For a truly polished look, opt for a hand-tied bow tie in the color of your choice. 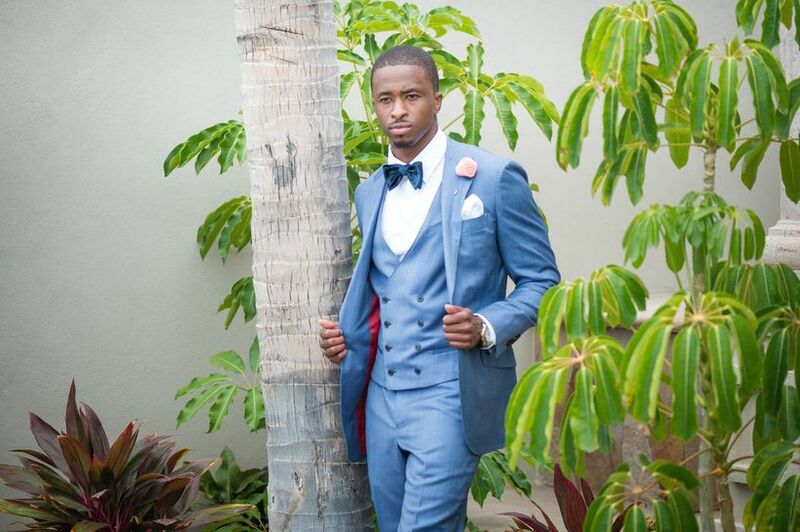 While black is always a good option, grooms can add a pop of color and quirk if the occasion calls for it. A go-to in groom accessories, the necktie is a solid option no matter the formality of the wedding. Neckties are most commonly worn with suits but can also be paired with a tuxedo, all depending on personal style preference. With a wide range of colors, patterns and fabrics, the sky is truly the limit in necktie options. If you’re aiming for a fuss-free look for a more casual wedding, consider skipping the tie altogether. 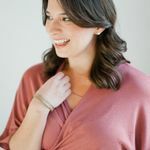 According to Diana Ganz of The Groomsman Suit, this look works particularly well for informal nuptials such as a rustic farm affair or a summer picnic-style celebration. While many men may consider a belt a daily wardrobe staple, menswear experts warn that belts with tuxedos are a no-go. Instead, suspenders (which are optional) can be worn with a tuxedo for extra support with the suspender finish matching the color of the shoe. When it comes to suits, wearing either a belt or suspenders is simply matter of personal preference. However, it’s important to note that wearing both suspenders and a belt is considered a menswear fashion faux pas. A great finishing touch to your menswear look, wearing a pocket square is an option for both tuxedos and suits. 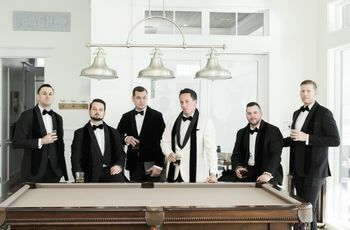 When worn with tuxedos, men tend to keep their pocket squares classic crisp white, while men in suits embrace more creative freedom, such as matching their pocket squares to the bridesmaid dress color. There’s no doubt cufflinks are an important part of the groom accessories checklist, but there are a few things to keep in mind to select the right set. Of course, the more formal the wedding the more formal cufflinks should be. In addition, if donning metal cufflinks, make sure to match the metal of your watch and/or belt. Thinking about skipping cufflinks altogether? Pattison of The Black Tux suggests men think otherwise. “While an expensive set of cufflinks may feel like an extravagant luxury of minimal utility I am of the opinion that these are the future heirlooms our sons will inherit. Personally, I have many sets, but those that are most meaningful to me are the pairs I inherited from my grandfather,” Pattison said. Originating in India around the 1850s, cummerbunds are worn at the natural waist to cover the waistband of tuxedo pants to smooth any bunching your shirt may cause. When it comes to selecting shoes, it all comes down to a tuxedo vs. suit. For a tuxedo, black shoes are always the most appropriate option but suits give men more flexibility depending on the suit color, event formality, and time of day. 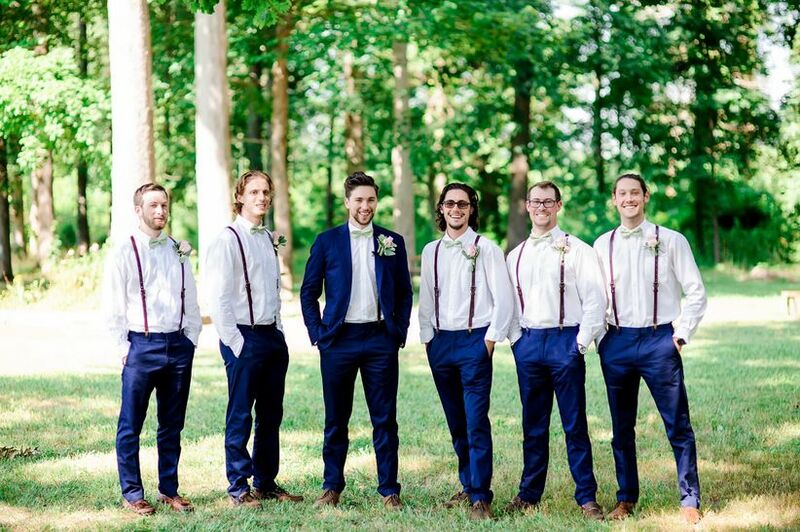 Ganz of The Groomsmen Suit suggests brown shoes are a great option to wear with gray or blue suits for casual, daytime nuptials while black shoes paired with gray or navy suiting provide a level of sophistication and formality for evening events. A second reception look? It isn’t just for brides. 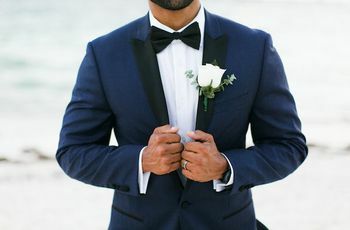 Grooms can use the reception party as an opportunity to showcase their personal style and add unique groom accessories, especially if their ceremony look followed formal, cultural, or religious guidelines. 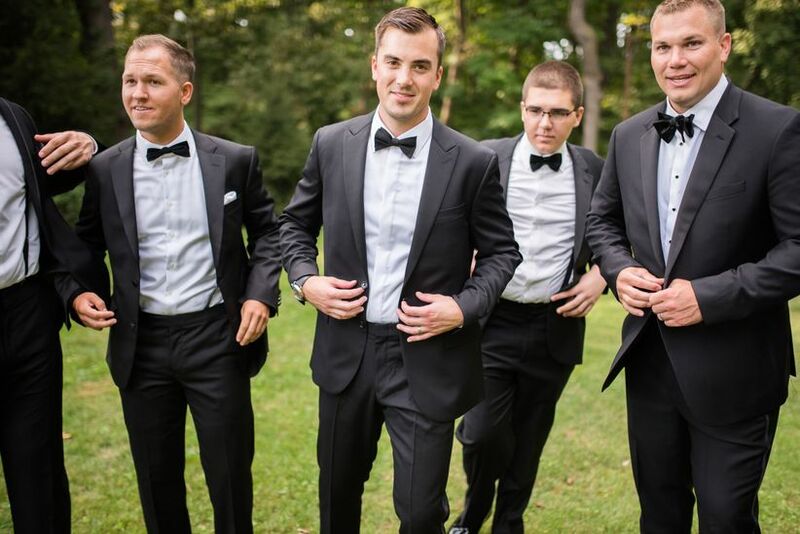 Pattison of The Black Tux suggests that grooms feel the freedom to treat what they wear to the ceremony and the reception as different events.